We believe in giving back to our community as it has allowed us to thrive. We must invest and empower the next generation of future leaders of our community with the resources and support they need to make our neighborhoods and lives better. 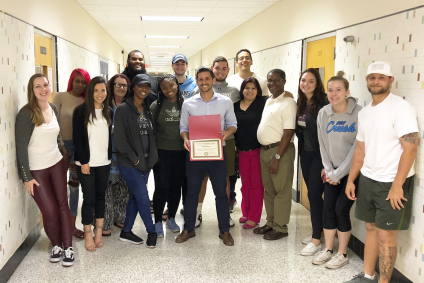 Camillus House has grown steadily over the years from a small overnight shelter serving Cuban refugees into a full service center offering a “continuum of care” for persons who are poor and homeless. Many of the clients who come to Ca- millus House have nowhere else to go. They have no friends, no family, and no loved ones to help them. 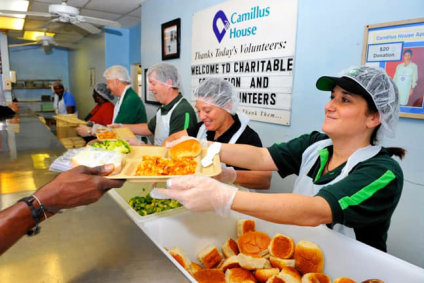 Camillus House becomes their family, giving them the hope and support they need to begin the long, difficult transition to a new life and self-sufficiency. St. Thomas isn’t a charity, but it is, however, a non-profit organization we support. St.Thomas University has invited us to speak on topics covering real estate, personal finance, economics, and human behavior. It’s been a pleasure to interact with students that are already causing a positive impact in our communities. We enjoy speaking at every opportunity we’re presented with in order to support such a great institution that has inspired and empowered thousands of professionals throughout South Florida and the world.